I've been looking for a nice affordable pair of d'orsay pumps for a while now--- it must have been fate (/death for my budget) that a new DSW just opened up walking distance from the loft! I had been strategically avoiding it for a week but then found myself magnetically drawn to the entrance--- it really wasn't my fault. 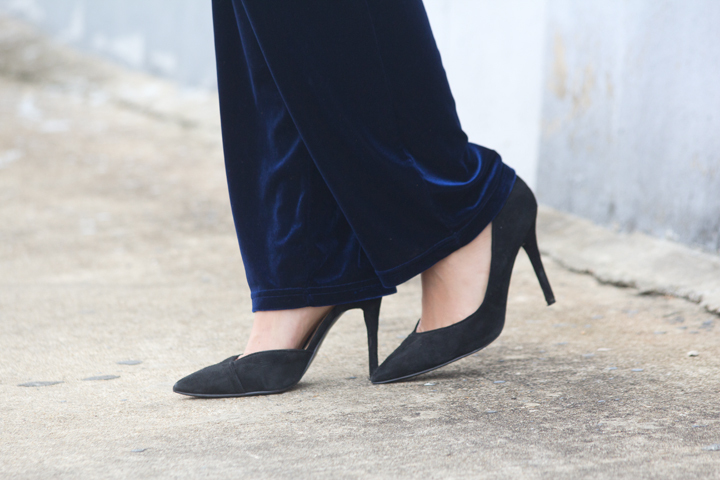 I love that a nice pair of pointy pumps can instantly turn stretch velvet granny pants into slightly more elegant stretch velvet granny pants. 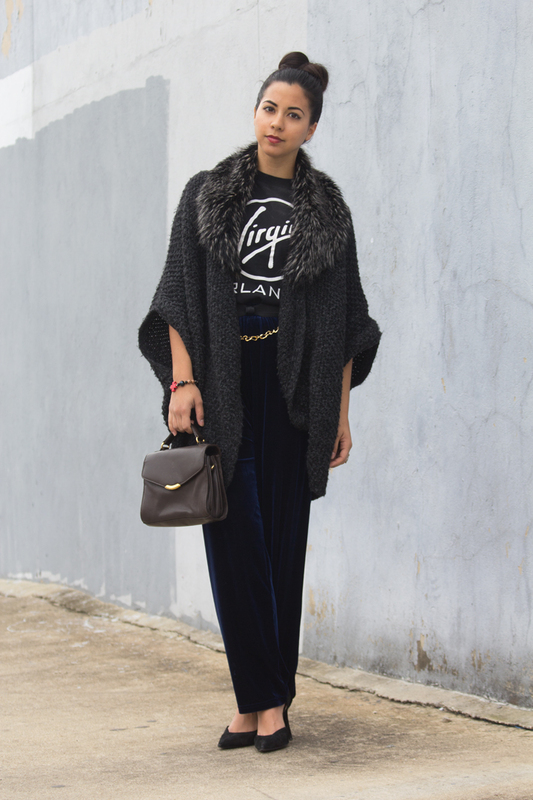 I love the velvet trousers with the LOFT cape - it looks so chic together! Very cozy and warm.